Visualize yourself heading out on a high adventure with interesting people—but all the while being distracted by the memory of a trivial insult you experienced earlier that day. Picture yourself getting intimate with a lover who inspires you to lose your self-consciousness—up until the point when you decide to interrupt your fun by answering a phone call from some random person. Imagine toning yourself down and holding yourself back because of misplaced politeness or unnecessary guilt or delusional fear—even though you’re feeling a rushing instinct to surge and soar and overflow. 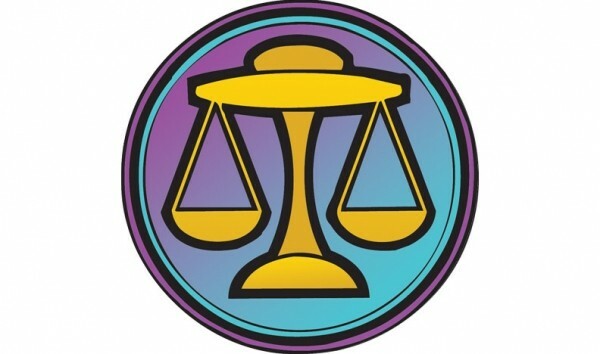 Finally, Libra, understand that in getting you to envision these parodies of your current inclinations, I’m hoping to shock you into making sure that nothing like them happens. Sometime soon you may dream of being naked at a public event like a class at school or a committee meeting. I think this would be an excellent omen, so I hope it comes to pass. It would signify that you’re ready to shed the disguises that have been making it problematical for you to reinvent yourself. Who is the New You? Stripping down to the bare essentials in your dreams will help you see raw truths about your waking life. As you cross the great water in search of the unknown treasure, navigate by the light of the clouds. That’s your dreamy oracle, Sagittarius. What does it mean? Well, the work you do to figure it out is essential to activating its potential, so I don’t want to give away too much. But here are three further hints to inspire you on your quest. 1. Be willing to go a long way to find a secret you don’t even know you’re looking for. 2. Consider the possibility of cultivating faith in a goal that you don’t quite yet grasp in its entirety. 3. Rely on shadows and reflections to give you accurate information you can’t get directly from the thing that’s casting shadows and being reflected. Everyone has some kind of power. What’s yours? In the coming days, I suspect there will be some crisis and opportunity regarding how you use it. Maybe you will be invited to assume more authority or exercise greater influence. Maybe your ability to wield your particular clout will be questioned or doubted, and you will be challenged to either stand up and express it with more integrity and purpose, or else relinquish it. For best results, take a moment right now to visualize the precise power you would love to command. “Dear Rob: I really enjoy reading your horoscopes. You feel like a friend I’ve never met. When I try to picture what you’re like, I keep getting a vision of you as being fat, short, and bald with a strawberry blond moustache. Am I right? - Curious Aquarius.” Dear Curious: It’s great that you’ve decided to do a reality check. This is an excellent time for all you Aquarians to see if what you imagine to be true is a match for the world as it actually is. To answer your question, I am in fact tall and thin, don’t wear a moustache, and have an abundance of long silver hair. I’ve got just the right message to set the tone for you in the weeks ahead. It comes from writer H.P. Lovecraft, and captures the essence of your astrological omens. “Pleasure to me is wonder,” said Lovecraft. “It’s the unexplored, the unexpected, the thing that is hidden and the changeless thing that lurks behind superficial mutability. To trace the remote in the immediate; the eternal in the ephemeral; the past in the present; the infinite in the finite; these are to me the springs of delight and beauty.” Now get out there, Pisces, and gather up all the mysterious marvels you have coming to you—all the bracing encounters with uncanny grace. When Spanish conquistador Francisco Pizarro laid waste to Peru in 1532, his soldiers found green stones on the land. Were they emeralds? A priest who was traveling with them gave them bad advice. He said that the way to determine whether they were merely colored glass or else precious gems was to test their hardness by pounding them with hammers. In this manner, many actual emeralds were shattered into fragments. Learn from this mistake, Aries. Make sure you recognize treasures for what they are. And don’t force them to submit to unwise tests that misconstrue their true nature. Someone at Reddit.com posted a question to the community: Could anyone help him re-create the aroma of the Pirates of the Caribbean ride at Disneyland? He said he loved that smell. It was a blend of damp earth, rotting wood and gunpowder. It had musty overtones, a hint of chlorine, and a tantalizing freshness. If only he could get that fragrance to permeate his house, he testified, he’d always be able to work at peak efficiency. You might want to follow his lead, Taurus. It’s a good time to identify and gather all the ingredients you would need to make sure your environment inspires you to the max. If you asked me to be your personal advisor, I would prescribe supplements and herbs to build up your immune system. I’d insist that you eat nothing but healthy food and get at least eight hours of sleep every night. I’d suggest that you meditate daily on images that symbolize your most inspiring desires. For fun, I might even advise you to do a ritual in which you create a big circle around yourself using violet yarn and then do a series of playful acts to pump up your freedom, like dancing as wildly as you know how and chanting “love is my creator.” Finally, Gemini, if you sought my counsel, I’d urge you to use your exuberant imagination in concert with your disciplined intellect as you design a long-term plan to charge up your well-being. “Dear Free Will Astrologer: I found your website by accident today and was drawn in fast and hard. No matter what I did I could not escape and get back to my work. Your messages were too interesting for my own good. You gave me too many answers to questions I’ve had for too many years. I felt like I was being cured of problems I didn’t even know I had. Many hours went by until finally I was able to pull myself out of the vortex. How did this happen? - Freaked Out.” Dear Freaked: I was born under the sign of Cancer the Crab, and it so happens that the people of my tribe are currently emanating an intriguing and inscrutable aura. We’re at the peak of our ability to attract and seduce. Many of us are using our power benevolently, but our mysterious mojo could still be a bit unsettling. Just for you, it is Shark Week. During this dicey holiday, you should be wary of all sharks, especially the kind that look like human beings. Don’t get in their way, and don’t underestimate them. On the other hand, I’m not opposed to you getting to know some sharks better. They could teach you some valuable lessons on how to get what you want. Not that you would ever be as cold-blooded and predatory as they are, of course. But it might be energizing to your ambitions if you add just a bit of shark-like thinking to your repertoire.